Even the most diligent patients who practice thorough home hygiene can not get to every area bacteria and plaque can. Getting below the gumline especially can be difficult. 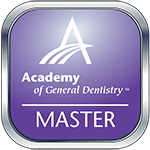 We have seen patients with absolutely beautifully cleaned teeth-above the gumline-but with tarter building up below and out of sight. This leads to one of the advantages to having the hygienist regularly cleaning your teeth. She can see what you can’t. From her bird’s eye view, she can see plaque and tartar building up in places you miss. The tools we use are designed specifically for removing the hardened tartar. Hygienists are trained to perform this type of removal without harming your gums. This is very important! The soft tissue of the gums can be easily damaged if you poke them or brush too vigorously. This can expose the delicate roots of your teeth to more attack from plaque-causing bacteria. How often you should come in for a professional dental cleaning depends on the health of your gums. Some patients only need to be seen twice a year, but others need more frequent cleanings. 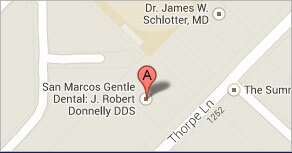 At your hygiene appointment, we check your gums for early signs of periodontal disease. If caught early, the damage can be halted and treated before it leads to tooth loss and other serious health conditions. For instance, studies are finding connections between periodontal disease and things like heart disease and stroke. So don’t put off that professional teeth cleaning-for the health of your teeth, gums, and body.